In 11th place, we’re heading back to the province of Alberta. But unlike the 13th placed Flames, in which I spilled my heart and allegiances to the Canucks as a preface to the reasoning of their placing, I don’t hate the Oilers. 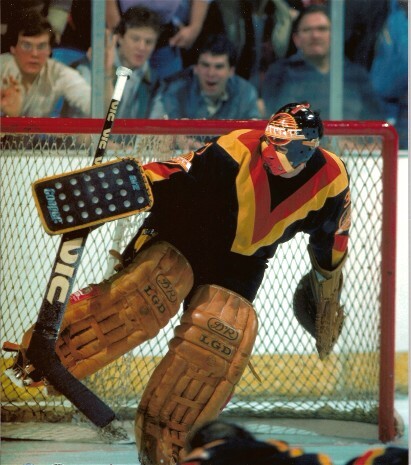 I hated them in the ’80s, but that was back when the Canucks were a punching bag and the Oilers were, well, arguably the greatest team in the NHL for almost the entire decade. I don’t hold that against them anymore, and it helps that they dislike the Flames as well (an enemy of my enemy is my friend). 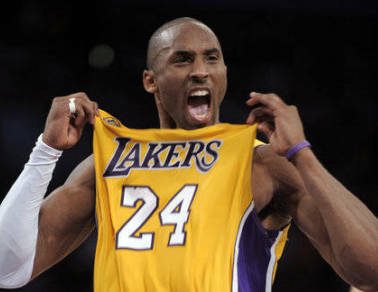 It also helps that they’ve only faced each other twice in the playoffs, and the last time was 20 years ago, in 1992. 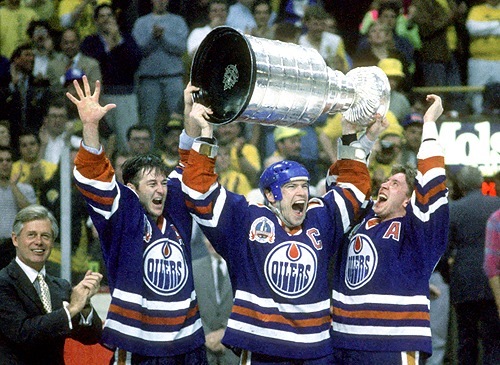 But this isn’t about the Canucks, it’s about the Oilers. As I mentioned in the Flames entry, the logos placed between 9th and 13th are all incredibly close and I had a hard time placing them. For each logo, there are things that are great and work incredibly well. But there’s also things that I think could be improved. 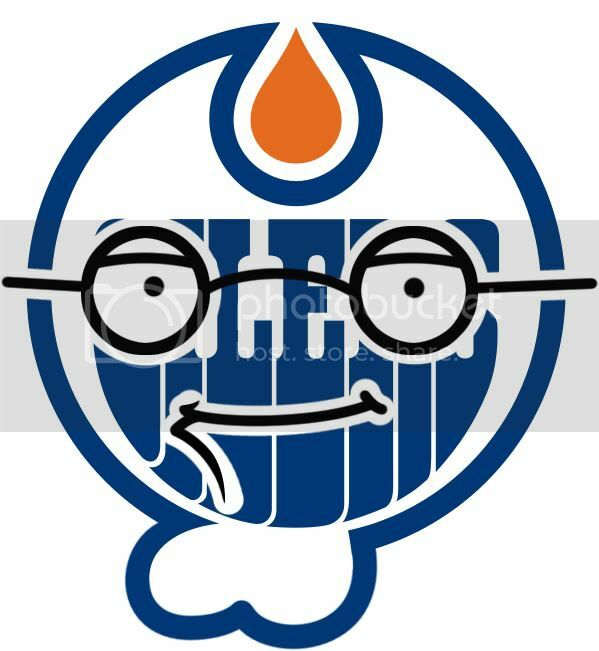 And the Oilers logo is no exception to that. First off, I love the simplicity of the logo. The concept itself could use a little bit of work as there’s not much to it, but the logo itself is easy on the eyes and looks classy on a jersey. A circle, an oil drop, and “Oilers”. That’s it. 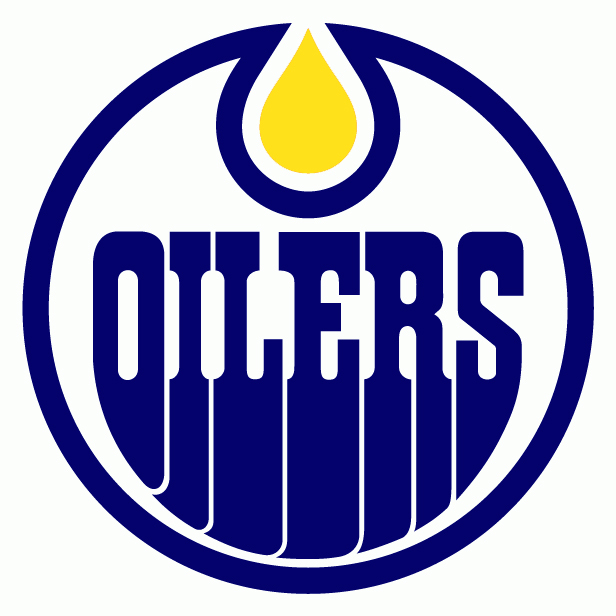 You could make the argument that an oil drop and “Oilers” is redundant, but “Edmonton” would be a pretty tight fit in the allotted space. Also, without that, people might not make the connection that the drop is actually meant to be oil (if they don’t know the name of the team). 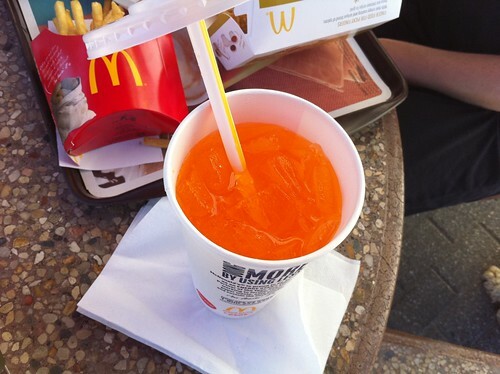 The Edmonton Molten Magma or Edmonton McDonald’s Orange Drink just doesn’t have the same ring to it. Also, whoever designed the logo knew their colour wheel. 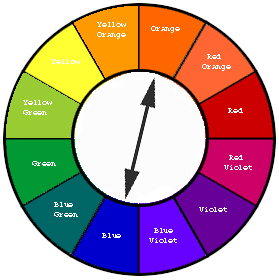 Orange and blue are complimentary colours, meaning that they are considered a perfect accent to each other when one is used as a highlight or feature beside the other. 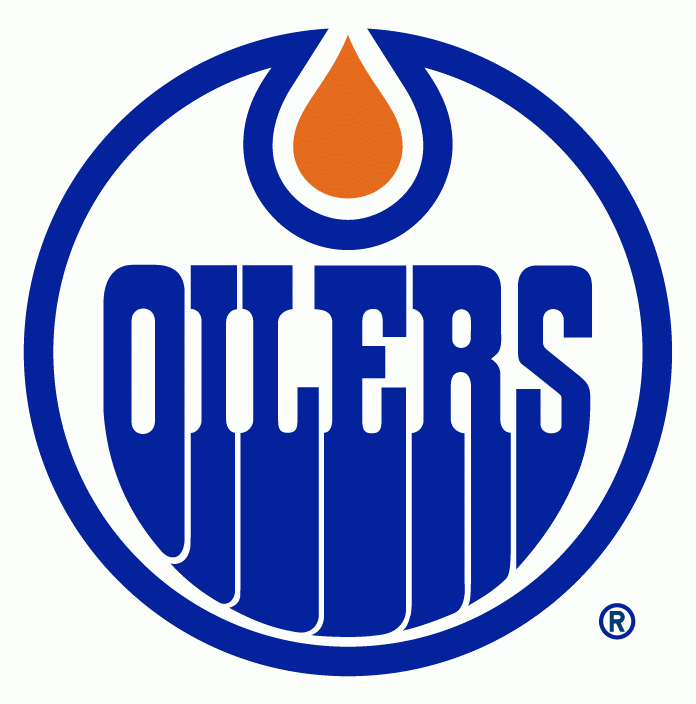 And the balance between the colours in this logo are perfect, as the orange has enough of it featured that it perfectly compliments the blue, adding a splash of intensity but not dominating the whole thing. Other instances of a great usage of complimentary colours in sports are the NBA’s LA Lakers (of which Kobe’s a big fan apparently) the MLB’s NY Mets and the NFL’s Baltimore Ravens (although the logo could use some work, the colours balance nicely). Teams that don’t use it as well: the Wild (too much red, and finding the balance for these ones without making it look like Christmas is difficult), the Islanders and the NBA’s NY Knicks (both the blue and orange are competing with each other). It’s also a good alternative to using a colour that would be more precise to the actually the colour of oil, either pure unrefined, corn, safflower or Olyve. The orange is close enough that it makes sense to use, and beautiful enough that it works well. 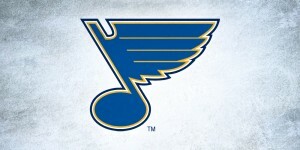 The blue is also a little bit darker than their original logo, and for me, I like it better. Adds a little bit more strength to it without become too dark. The treatment of the oil drop is nice too. It’s got a great shape that mimics the circle around the whole logo and breaking the blue outline to wrap around the oil drop adds a bit more interest, movement and dimension to the logo than what it might look like otherwise. So, the only thing left is the text. Some of you might think I focus too much on the text of these logos, but I promise I try to tear everything apart as equally as I can. If you feature text prominently in your logo (or if that’s all your logo is), it’s fair game. And in this case, the text drags down the logo a bit. There’s a fine line between quirky and eccentric and weird. This is quirky and eccentric. This is weird. And the Oilers logo is just barely teetering in-between. First of all, you’ve got the typical Western font. Yeehaw! Except Edmonton is less the cowboy, frontier-esque city than its southern neighbour. 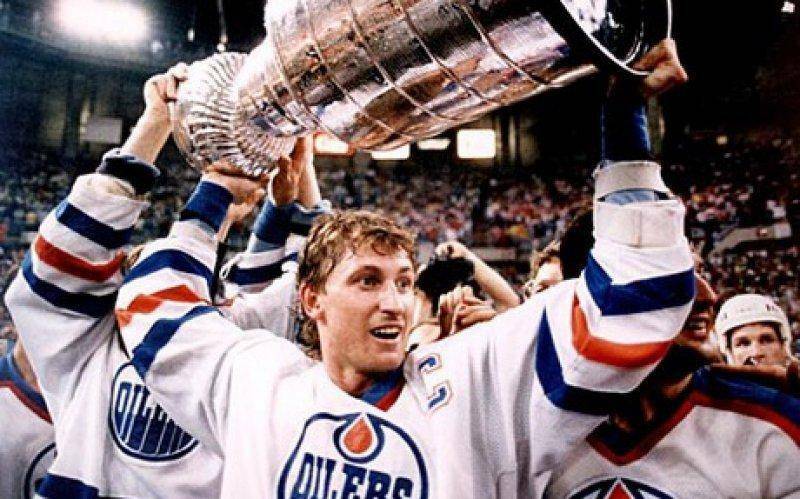 True, when the Oilers came into the NHL the Calgary Flames didn’t exist yet, but Calgary has already established itself as a cowboy hockey city, albeit with a horrendous logo from the WHA. The ‘Wanted’ font, on its own, I could handle just fine, as it still makes a certain amount of sense being located in Alberta, but then they give each letter 10″ platform shoes to bring them down to the bottom of the circle. Then, they’re inexplicably gradually curved at the bottom. To mimic the curve of the oil drop? Not sure. And why do it gradually? The “O” has the largest survey on it, while the “S” doesn’t curve at all. It seems to be an attempt at creating movement and depth when the rest of the logo doesn’t have any, so it’s inconsistent. Would it be so bad to not have those curves at all? To me, it gives it more strength to just have straight lines. But, as mentioned, aside from the relatively minor text issues, this is a great logo with a history and a legacy to it. 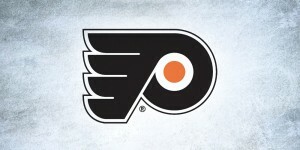 I think it’s safely say that, aside from maybe some minor adjustments, this logo will remain as is for decades to come. Especially after that Todd McFarlane debacle. Todd McFarlane, m’man. Seth MacFarlane does Family Guy. Dammit! I thought I had already fixed that too. I’m a little under the weather today, so I blame that. Thanks for catching it. Hmmm…a good point. You could totally be right. But then I’d be interested in seeing them actually going into the “ground”, rather than just curving away for some reason. Well if you look at it in the reverse way, the blue is the ground and the space between each letter forms the pipes. And in that respect, they are going into the ground. I for one love the type for the Oilers’ logo. Good point, but I still don’t get why they’re gradually curving away then. There’s definitely an iconic nature to the type (which is why they weren’t ranked lower than they are), but obviously it’s open enough to interpretation that it totally works for some people. For me, I just don’t get understand exactly what the intention is. 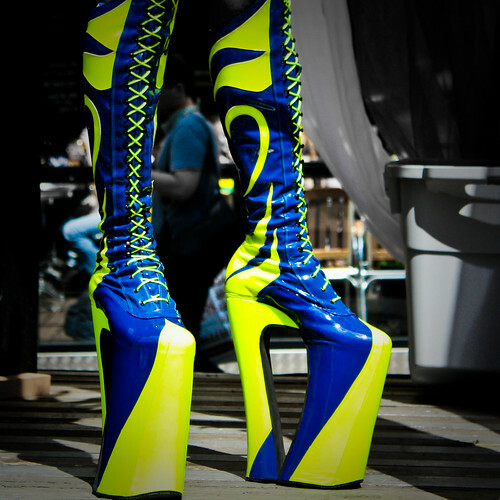 I always figured the “platform shoes” were grease streaks. To fit the oil theme. Seriously, though, and in all fairness, I think the streaks/platforms visually work very well. And while in my biased opinion Calgary should have been at least five higher (can’t wait for you to defend Pittsburgh’s placement after your previous comments on animal logos and cartoonish, minor-league design, which I agreed with, besides Vancouver, New York and Toronto, at least) I’ll say in fairness that Edmonton deserved a better fate over those same logos as well. All that said, your blog is a must read and I really appreciate the design insights. Keep it up! I think the curves at the bottom are meant to create movement, and I don’t really mind them. Your version without looks weird to me. However, what I hate, and never noticed before reading this post (damn it), is the fact that the curve on the bottom of the letters does not match the curve of the outer circle. Think you would whip up a graphic where it does, by having the O and S platforms extend lower, etc? I’m not sure if it would look better, but as is the logo is bothering me. No, wait, they line up with the text. What I want is for the center, the E, to not drop as far, so the white space is consistent all the way around, from the spaces to either side of the word to the bottom. Good catch! I did notice that as well, but I actually kind of like it as it adds a bit of movement to the logo as a whole. Without actually mocking it up, I’m guessing that there would be too much white space at the bottom of the logo if it were to match the outer circle, and would make the text “float” too much. But, not totally sure. And I forgot to mention, your posts are now among my highlights of the week. Sort of pathetic, but I look forward to them for days! Like Chris, I also believed the descending white lines represented wells or pipelines. And to agree with Chris again, not only do the curves at the bottom not bother me; I like them better than your straight version. Overall, this logo is so simple and well-executed that this could/should have been your shortest post. 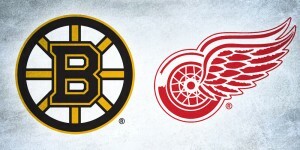 Then again, the detail you go into dissecting these logos is what makes these posts so enjoyable. Keep it up. Canucks almost HAVE to be in the next two. Oops. It is Sean who thought the lines were pipelines. As for the “platform”, I always thought of them as oil streaks, with the oil draining down and away. Whether that’s good or bad, I don’t know. Hey Wouder, just discovered your blog- sweet blending of your passions! I’ve gotta say that the Oilers logo is one of my faves in the league. The orange/blue complimentary colours, the simple design, it’s got visual appeal (that’s a girl’s perspective on what constitutes “pretty” is sports logos 😉 As for the “platforms” on the type- to me it seems obvious that it represents an oil slick, the curve at the bottom implying slipperiness or oiliness. 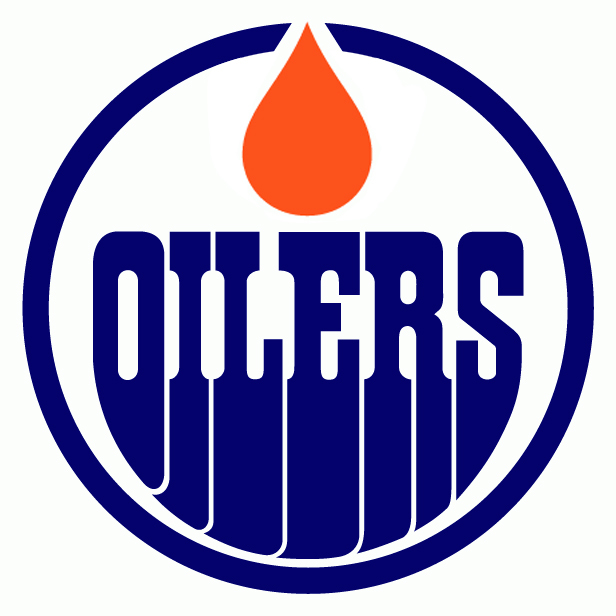 I think it’s in keeping with the “Oilers theme” they’ve got going, with the drop of oil and the name- in order for people not in the know to go beyond the word itself into its meaning. Makes sense to me. Just my 2 pennies. You could totally be right, and it does make sense, but it’s not completely obvious to me. Maybe if the white lines were a little bit more wavy, then that would get the point across a little better? A lot of other people said they thought the platforms were pipelines heading down, but then it doesn’t really explain the curve at the bottom. Who knows! Do you’ve any? Please permit me recognize in order that I may subscribe. Thanks. The superstar centre was passed fit to travel to the UK on Monday shop isabel marant after meeting with his surgeon and has joined the Kangaroos squad in Newcastle even though he’s not playing in Sunday’s clash with the Kiwis at Ausgrid Stadium.